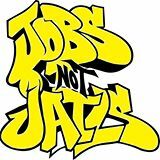 Our Jobs NOT Jails Coalition is building the infrastructure to engage thousands of people in a campaign to stop $2 billion of prison construction, and re-direct those funds into creating good jobs for people in low-income, high-crime neighborhoods. We just filed omnibus legislation for the reforms listed above as: Justice Reinvestment: An Act to Increase Neighborhood and Safety. Transitional job and pre-apprenticeship programs to prepare people for today’s workforce and place them in good, living-wage jobs; Youth jobs that provide both sustenance and experience; Initiatives to create new jobs through social enterprises, coops, and other businesses; and Evidence-based programs that specialize in drop-out prevention and recovery, giving youth a second chance at academic achievement and setting them on a path to success. 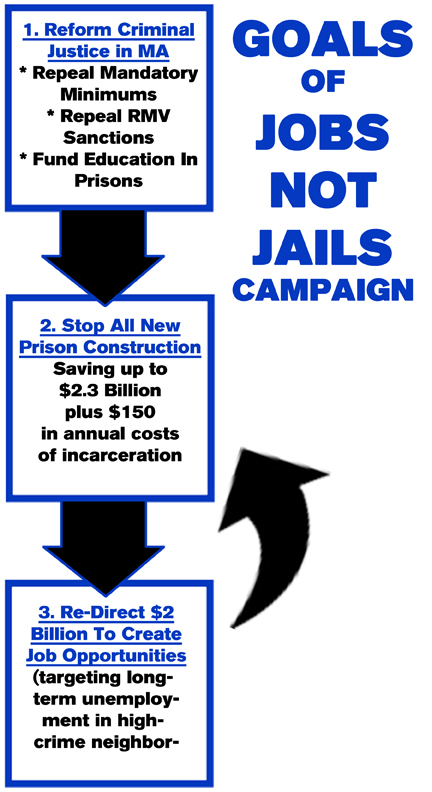 The CONTEXT of the Campaign – Why Now?